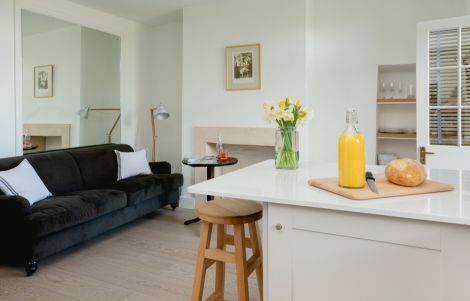 The Secret Escape in Bath has been recently renovated to a very high standard and offers a kitchen/sitting room, with breakfast bar, 32” smart television. The door opens up to a small balcony with table and chairs. 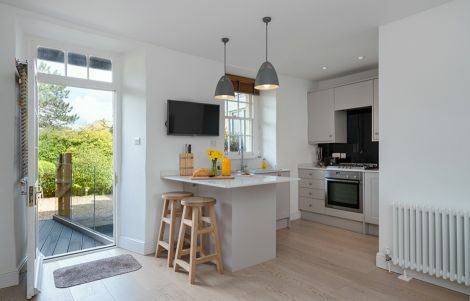 A recently fitted, contemporary and fully equipped kitchen - perfect for 2. 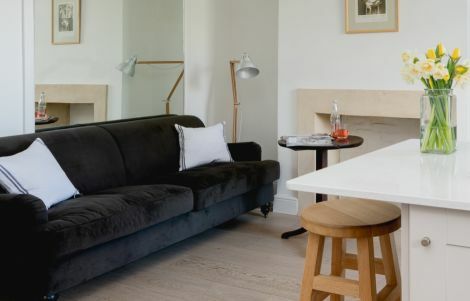 This additional indoor space is a perfect place to relax with a coffee, chat, chill out or watch the television.